Gosh, I am a greedy moo. I had the pleasure in designing the posters/banners for the promotion of this amazing festival AND also being the official photographer but I am certainly not complaining! I spent a lot of time in front of the music stage getting snaps of the artists in the red and blue tent, which cast a hue over their faces but it made it all the more atmospheric and sort of…intimate. Unfortunately, I wasn’t there for the entire duration so here’s a quick snapshot of what happened over at the music stage. Friday was taken over by the youth of today. Boom! What talent. I felt like a bit of an oldie but I can still jam with the youngsters (although they may have different views). But wait a minute, I had to take the photos so I thought it best to stop embarrassing myself with the nodding head which was jamming to the beats. But I truly couldn’t help myself. They were good! 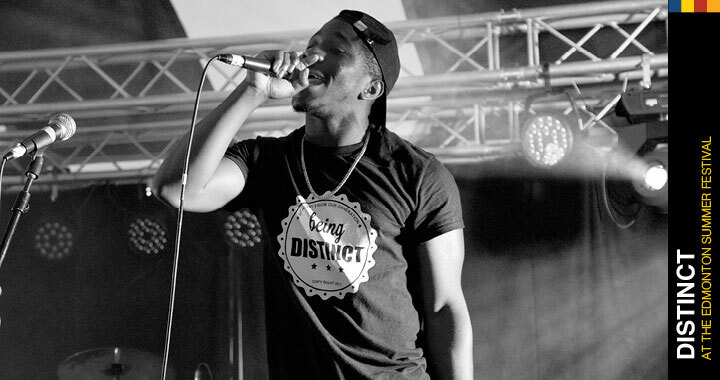 Distinct – a young rap duo brought the house down with their rhymes. Ellen Blane, such a unique voiced soulful singer strumming on her guitar. Lady Leshurr – headline act. She may be petite but she commanded the stage. Goodness me – to hear her improvise and freestyle right in front of me. Wow! What a ting! I didn’t quite get the words but I knew she freestyled about the woman with the camera (that’s me)! The crowd were going crazy for her. She surely knows her stuff. Victor Romero Evans with his comedic comments got the crowd laughing and singing along. Dennis Bovell and Band may be oldies (can I say that without causing offence?) but they sure are goodies. That reggae bass was deep! Dennis Brown Jnr got the crowd going by doing a short rendition of one of his fathers well known songs (Here I come) and sounded just like his dear departed dad. John Sessions – jazz singer and a real crooner. Smooth! Lurine Cato – Mobo Gospel Award winner. That girl is a power house. Janet Kay! She absolutely brought the house down. She still has it and she can still hit that high note. If you know the track ‘Silly Games’ then you know what I’m talking about. SO many people came out to see her and the crowd were singing at the top of their voices. And little ‘ole me was right at the front of the stage. Sunday ‘s artists were organised by Ziggy’s World Jazz Club. They had a fabulous lineup arranged with an amazing array of musicians but unfortunately I spent a fair amount of time at the other stage which was across the bridge. However, I did manage to get photos of Omar! He doesn’t look like he’s aged since his hit song ‘There’s Nothing Like This’. He sang hit after hit and the crowd were loving it. His backing singers (along with his sister Psalm) added to the melodies. Sublime! Lastly, let’s not forget the people behind the scenes that make everything work and sort out any issues should anything go wrong. The unsung heroes are the ones that you don’t always get to see as they’re generally behind the scenes. The festival organisers, the artist bookers, the engineers. Below is just one of the unsung heroes of the festival. Photos of the event goers and stall holders will follow on the next blog. I’m not finished yet.